The NowDecatur Club is for you if you like access to exclusive contests right here on NowDecatur.com. Plus you can sign up to receive inside scoop from your favorite radio stations WSOY-AM, ESPN Decatur, 95Q, HOT 105.5, or Y103 to find out about their latest contests and concerts. If you want text message alerts sent to your phone, sign up here and choose exactly what you want. 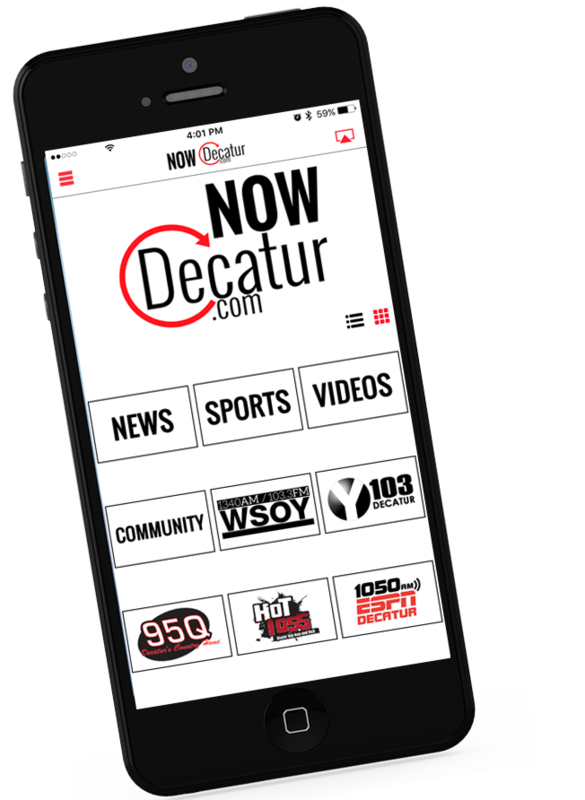 With the new NowDecatur.com app you can receive PUSH notifications from the app when there’s breaking news, sports, or weather to report. The app is available for Android and iPhone users.